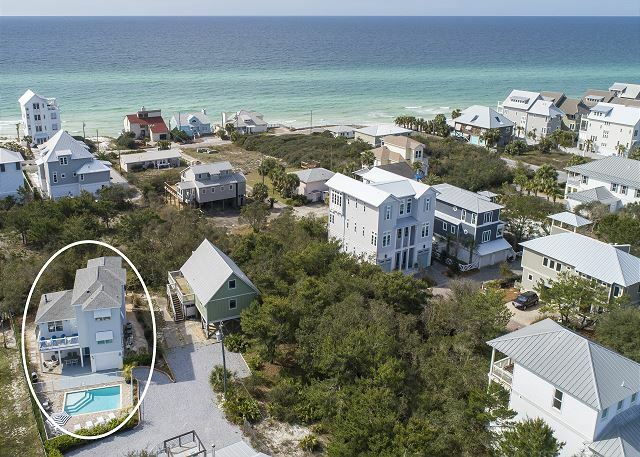 Wanting "The Good Life", stop by and come see this amazing 5 bedroom home near the emerald waters of 30A! 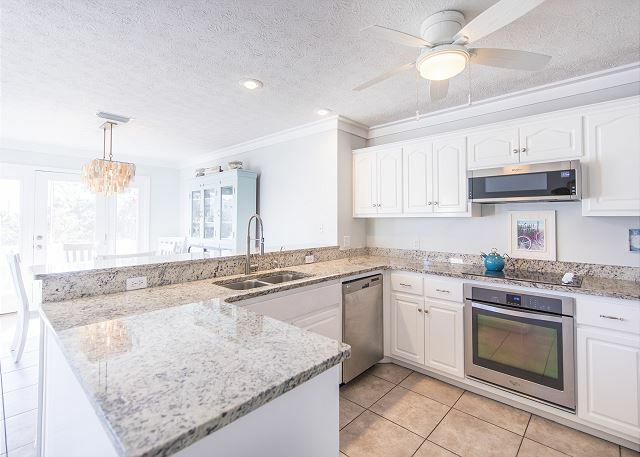 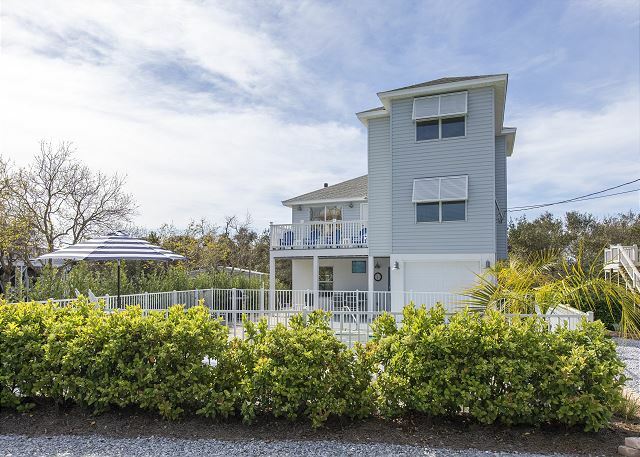 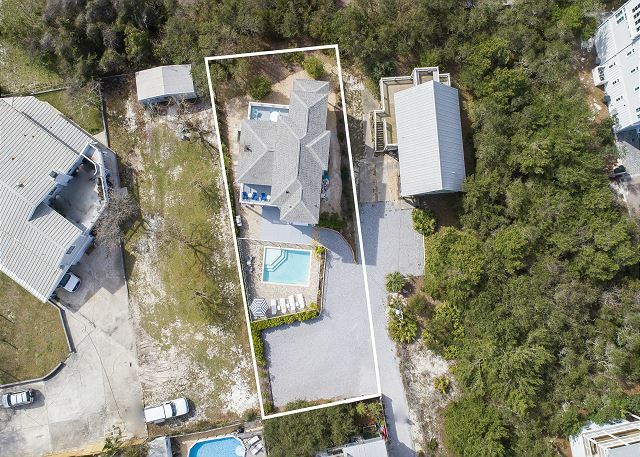 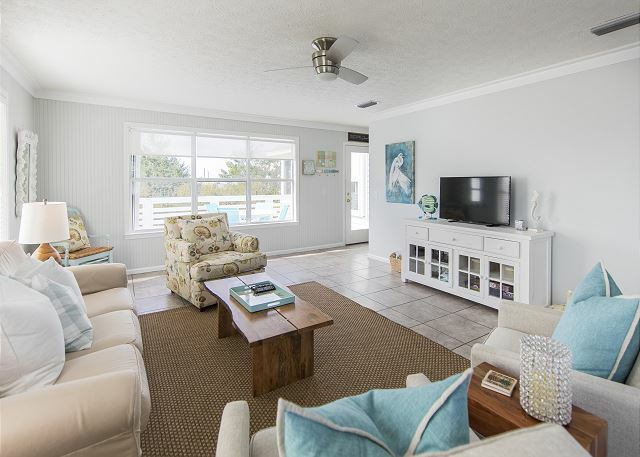 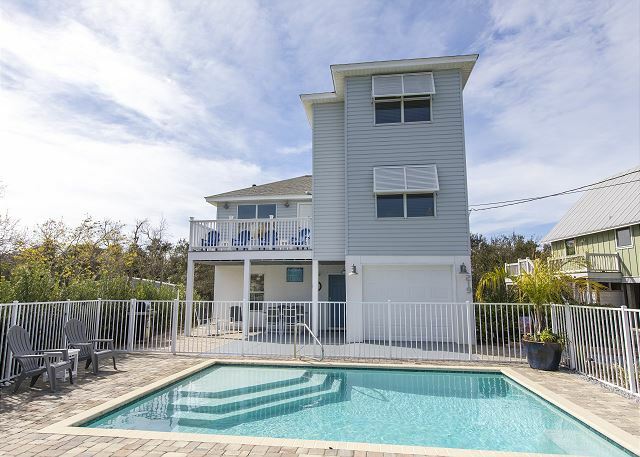 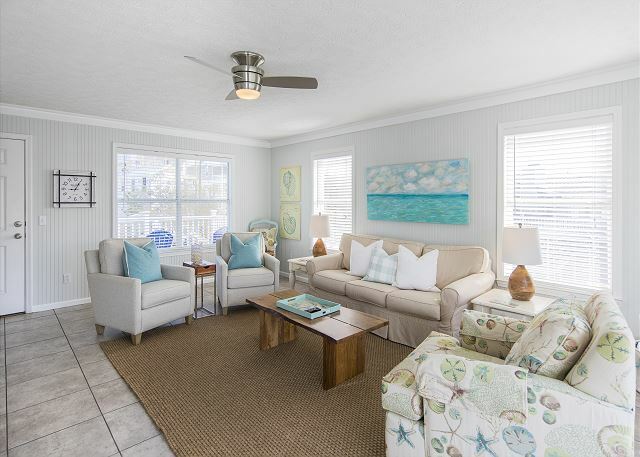 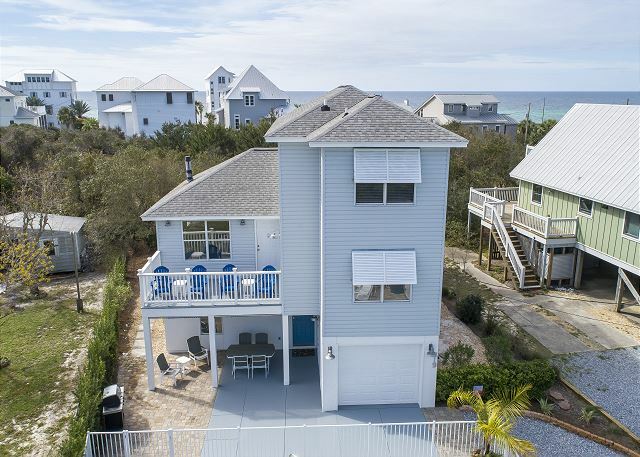 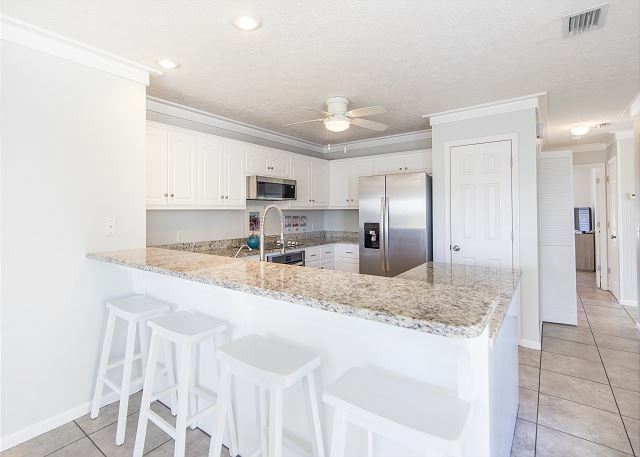 Located in Inlet Beach, your family and friends can relax and unwind in this spacious house with gulf views, a private pool and under a 5 minute walk to the beach. 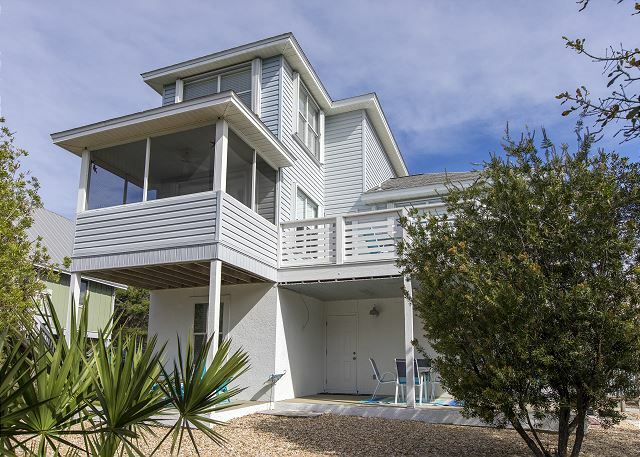 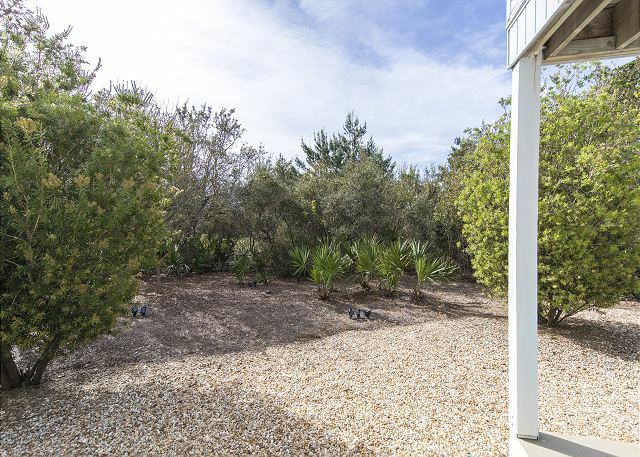 The house is located on the south side of 30A Highway with no busy traffic to cross to get to the beach, just a stroll down the quiet road. 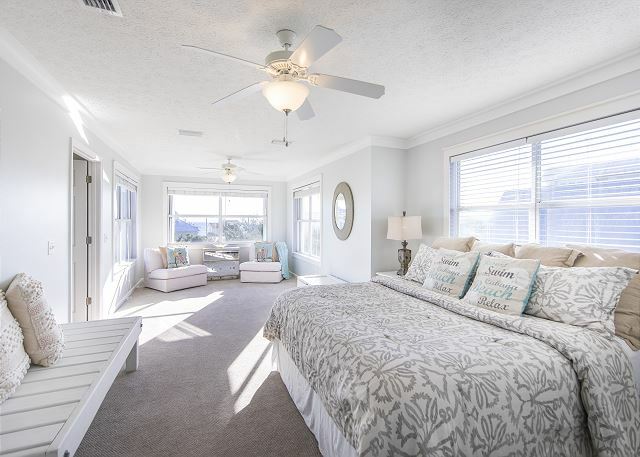 With three levels of luxurious décor and an abundance of space, The Good Life will sleep a total of 16 with 3 Kings, 1 Queen, 4 Twin/Single, 1 set of Bunk Beds and 1 Queen Sofa Sleeper. 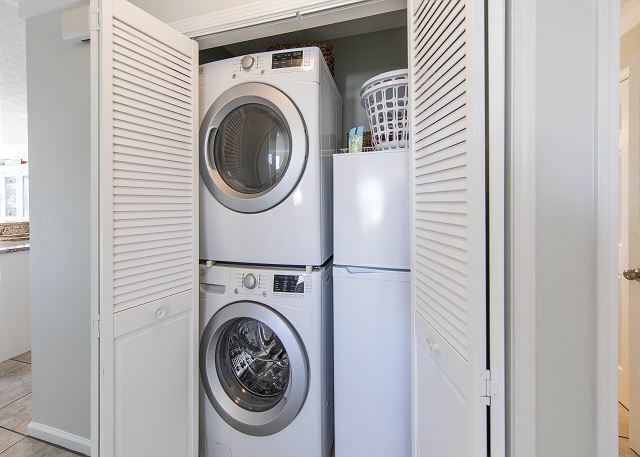 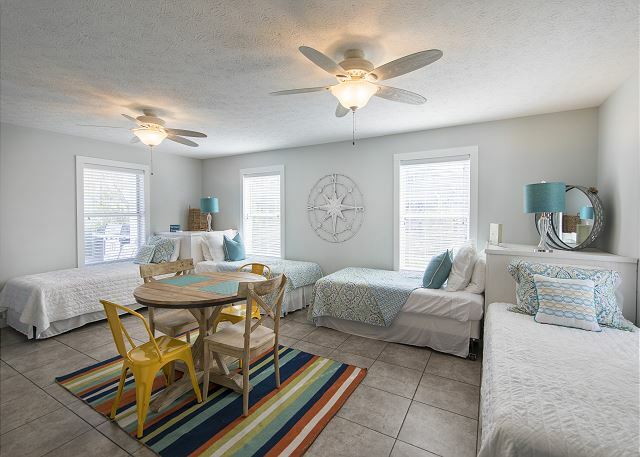 As you enter the house on the first floor, there is an open kids area with 4 Twin/Single beds and a half bath. 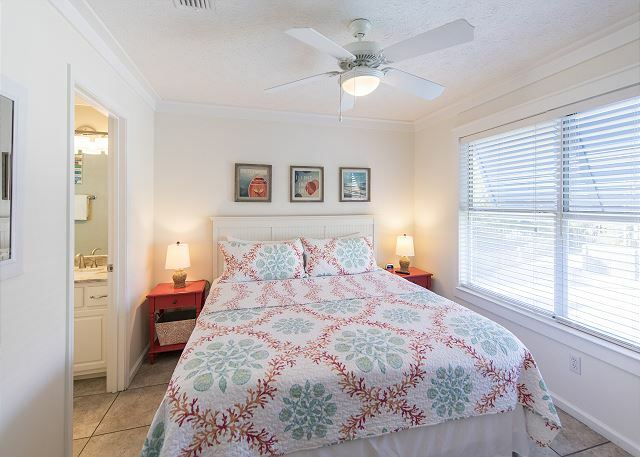 Just off this room are 2 bedrooms which offer a King bed and a Queen bed with a full bath to share. 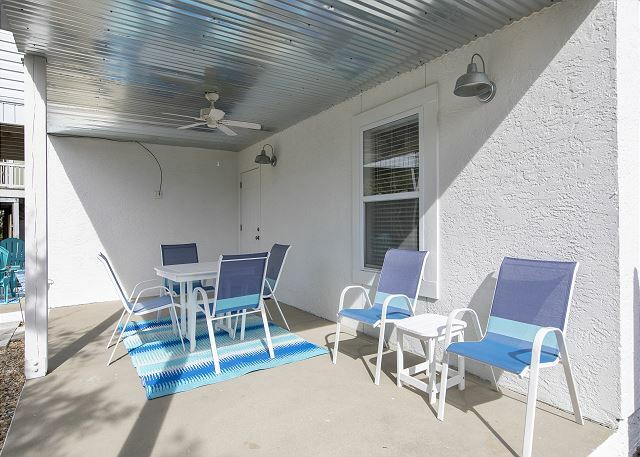 Off the back of the first level you will find 2 covered patio areas. 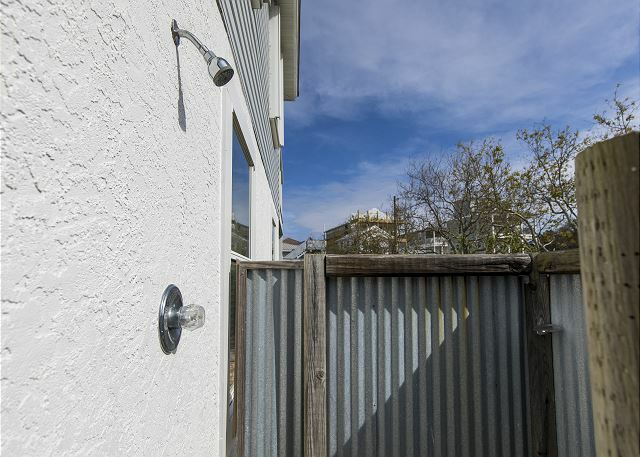 One provides a quiet sitting area, where you will also find the outdoor shower. 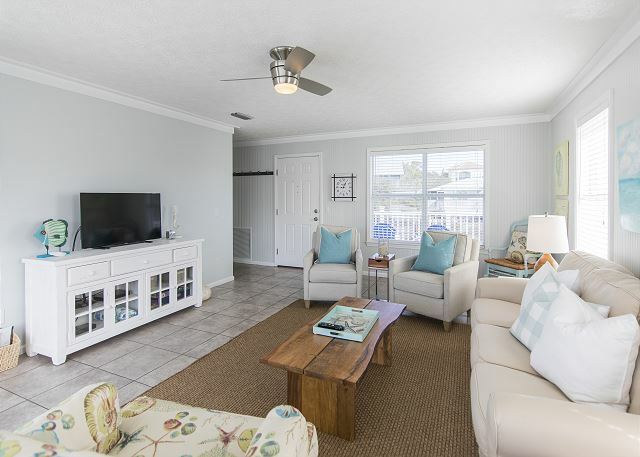 The second level offers a spacious living room with a sofa that includes a queen sleeper, 1 love seat, 1 big cushioned chair and a fun game table with 2 chairs. 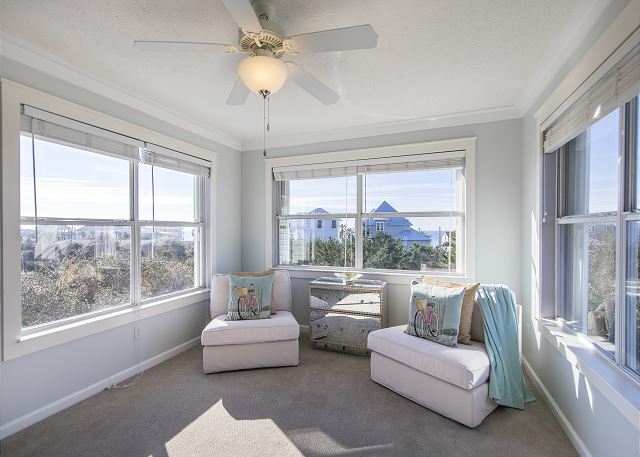 Along with a bench under one window, there is plenty of seating for your friends and family to gather together. 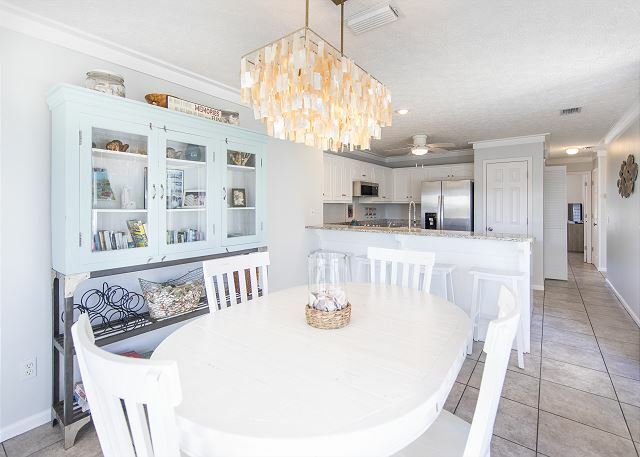 Just off the living room is the open kitchen and dining area with plenty of room to join together for that perfect meal. 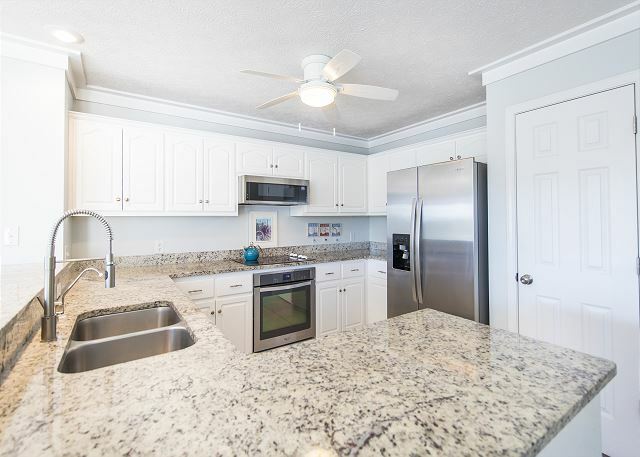 The kitchen is stocked with essentials and offers large granite counter space. 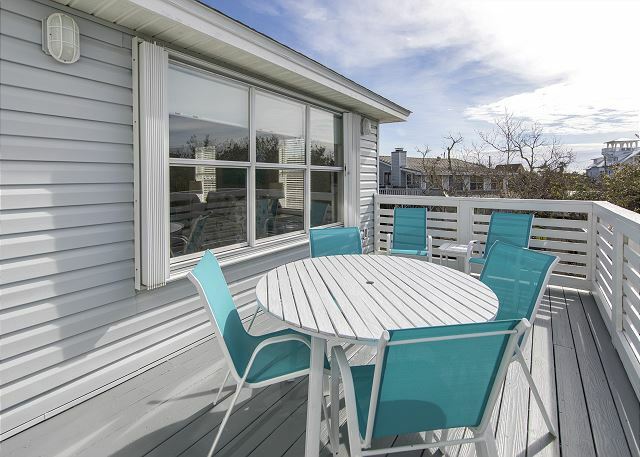 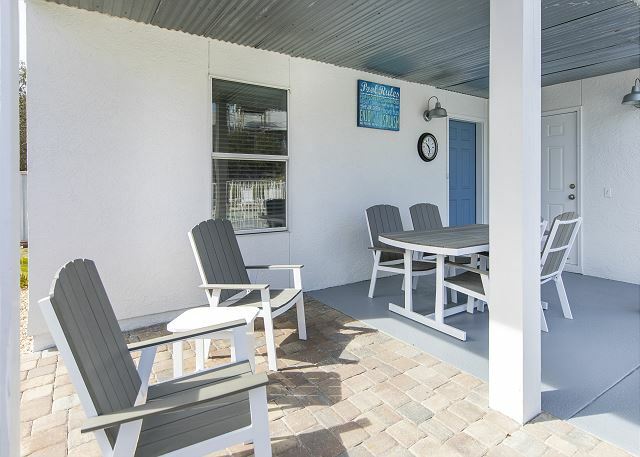 The dining area opens onto a screened in porch with seating for that perfect sunset. 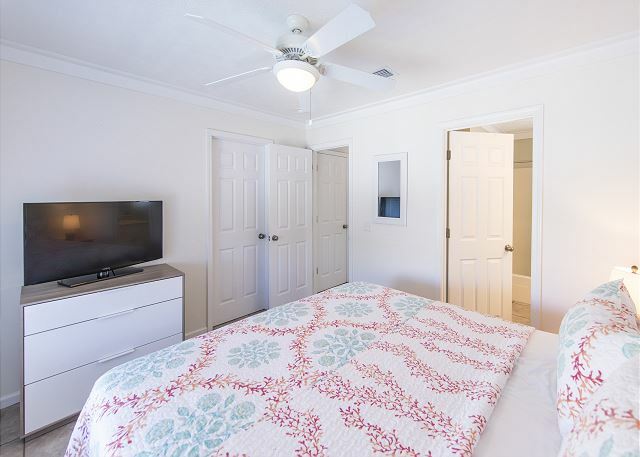 The second floor also offers a bedroom with a King size bed and a full bathroom. 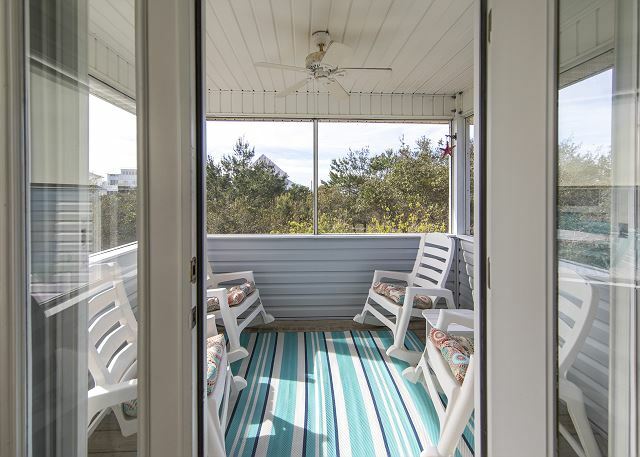 From the second level you can walk out onto two different decks. 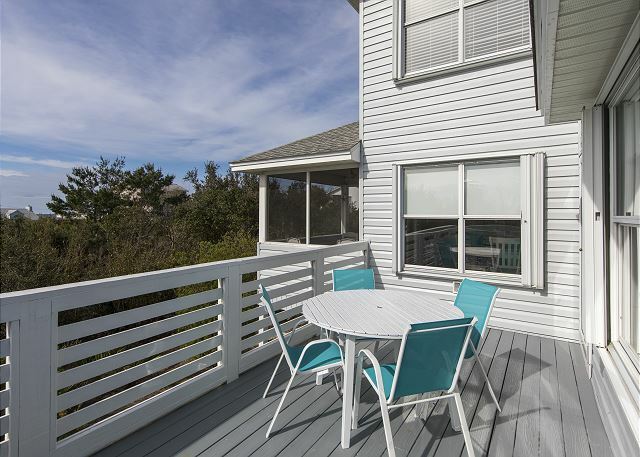 The deck to the back of the house offers a view of the ocean and the deck at the front of the house overlooks the pool area. 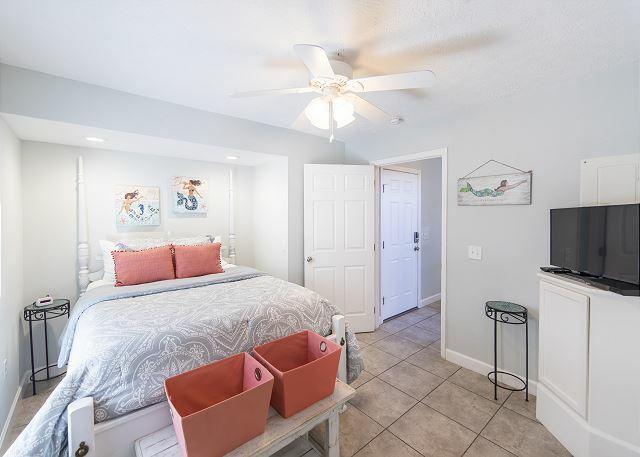 The entire 3rd floor is the master suite with a King size bed, it's own private sitting area and large windows on 3 sides for looking out at the gulf. 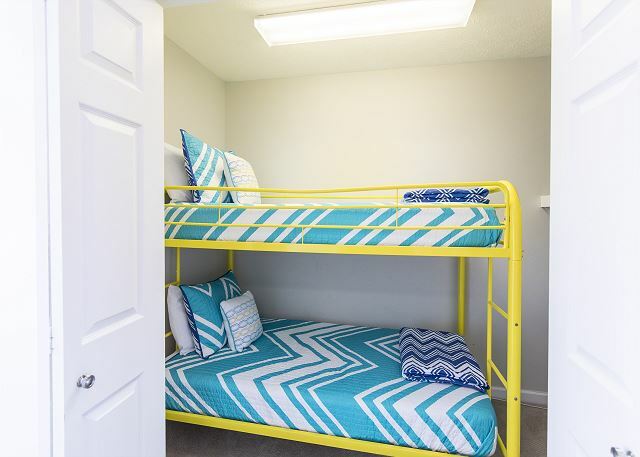 There is also a set of bunk beds in a private area with it's own TV. 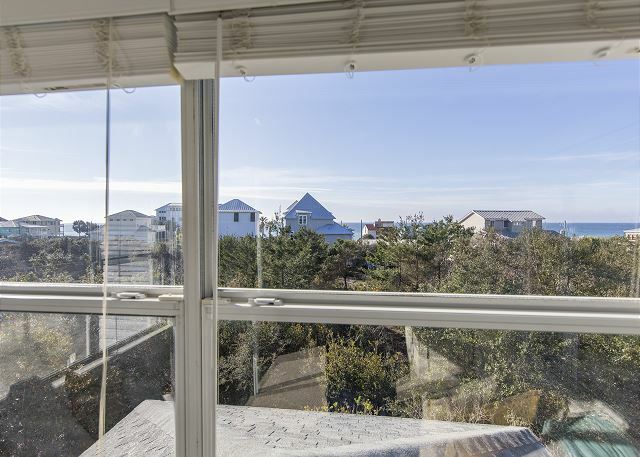 The view from this level is amazing!! 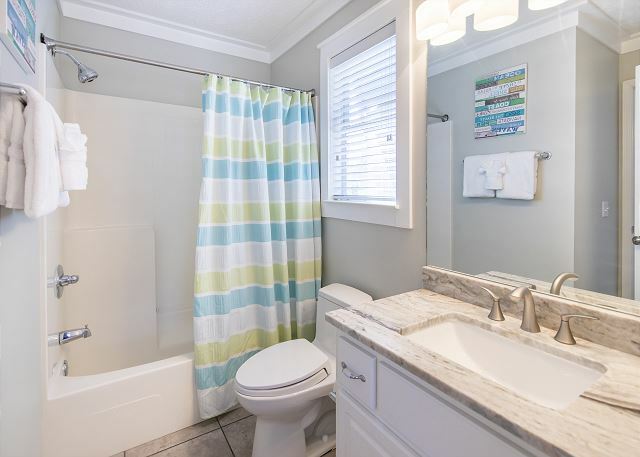 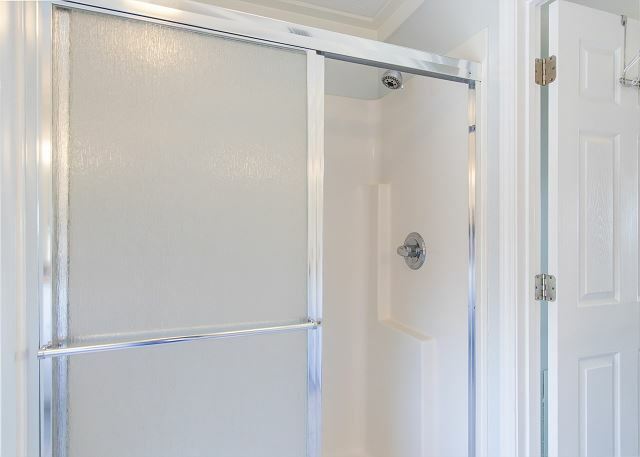 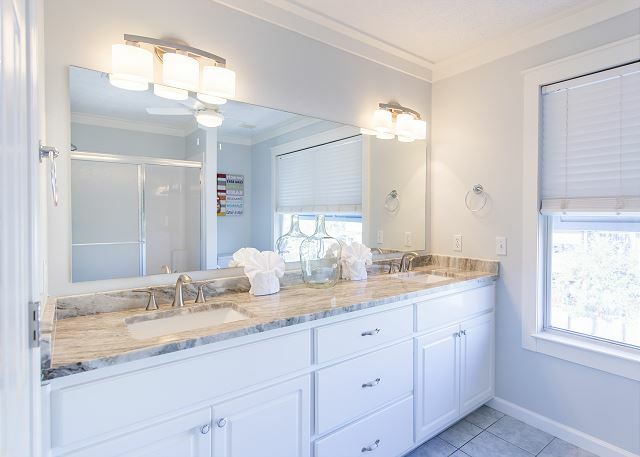 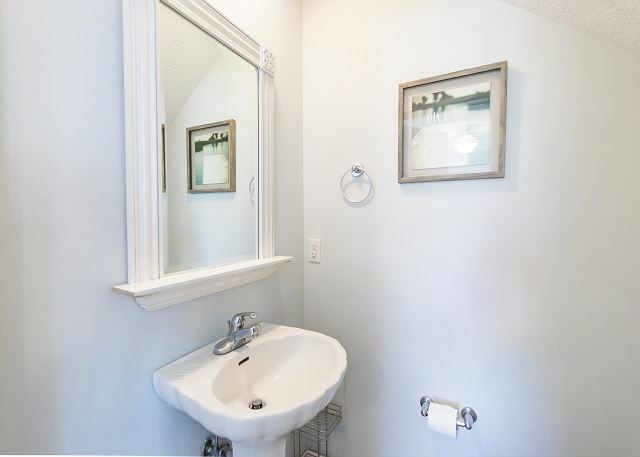 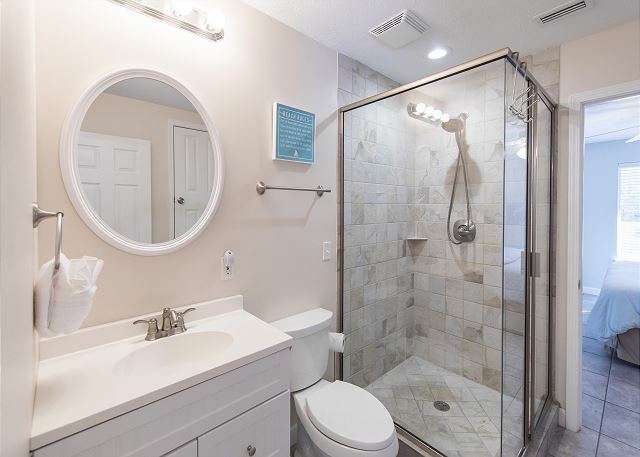 The master bathroom offers double vanity sinks and walk in shower. 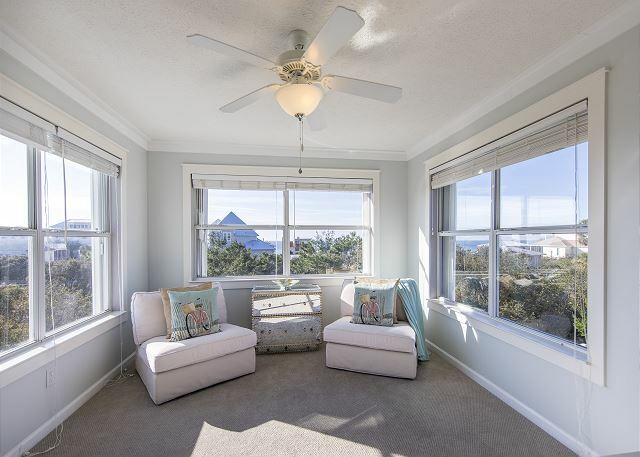 This room is quiet, removed from the rest of the house and has a large desk looking out to water, the perfect hideaway for anyone who has to do a little work while in paradise! 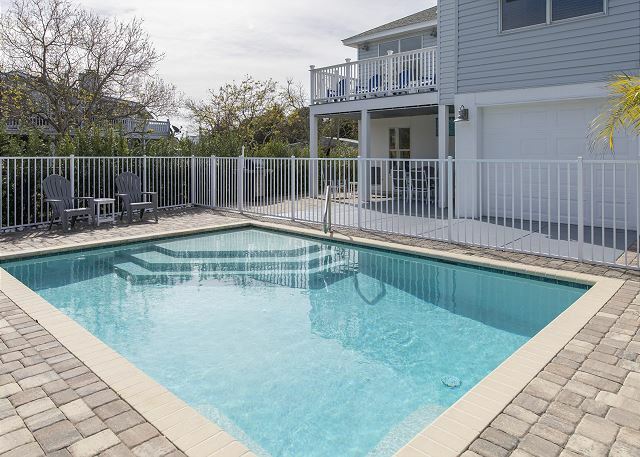 Out the front door of The Good Life you will find the heated private pool. 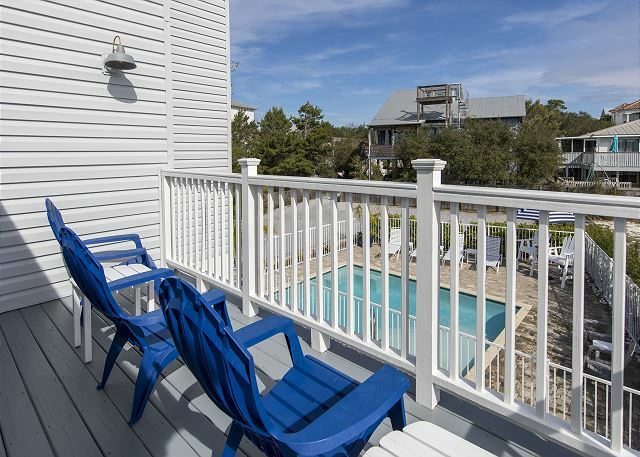 Plenty of deck space is provided around the pool with chairs and loungers. 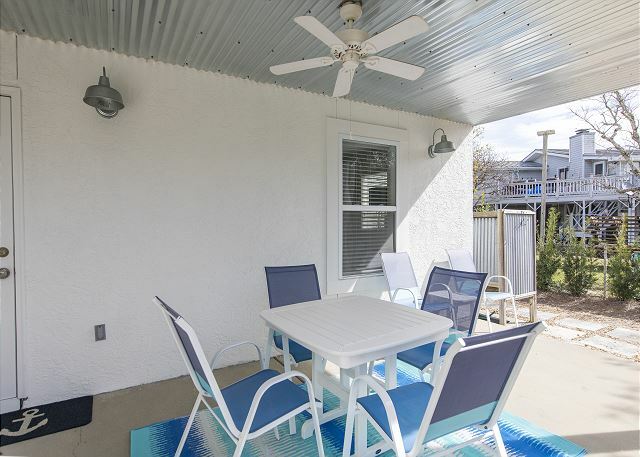 There is a covered deck and grill here as well. 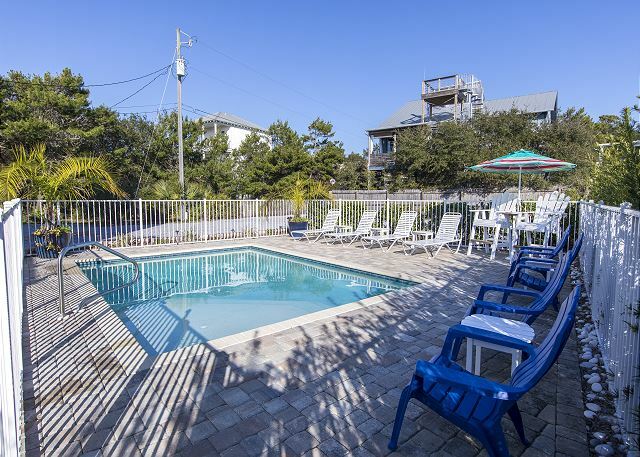 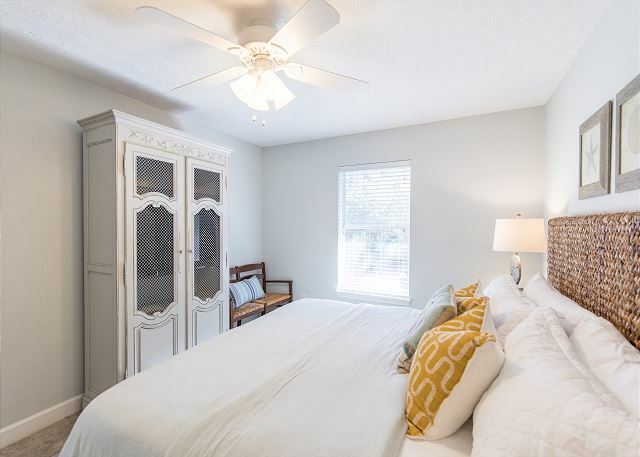 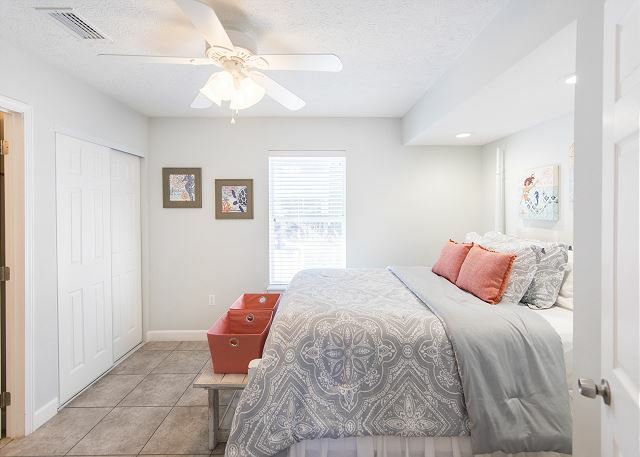 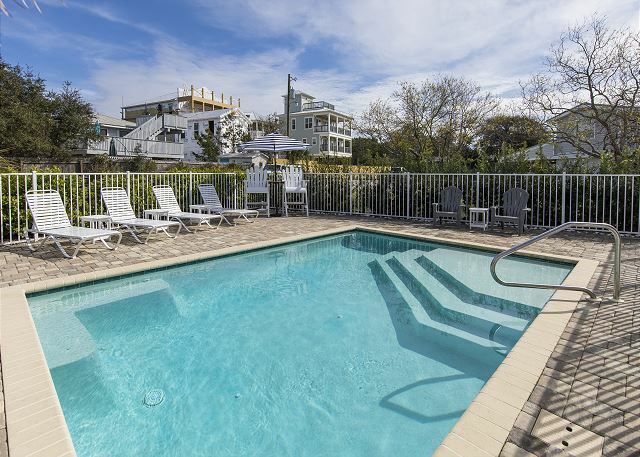 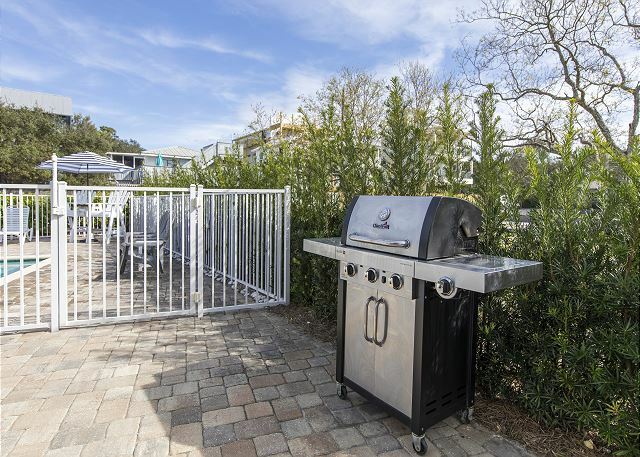 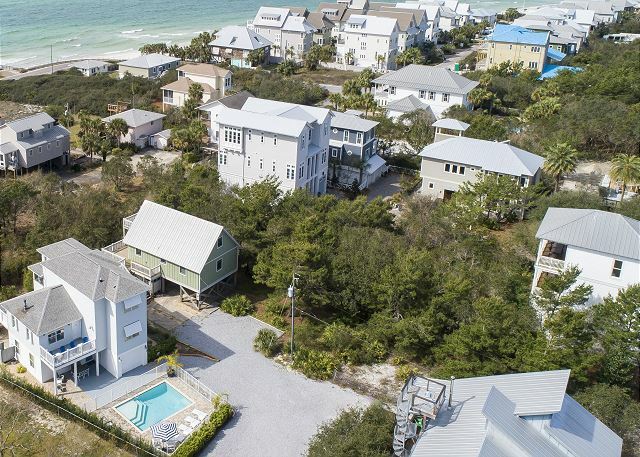 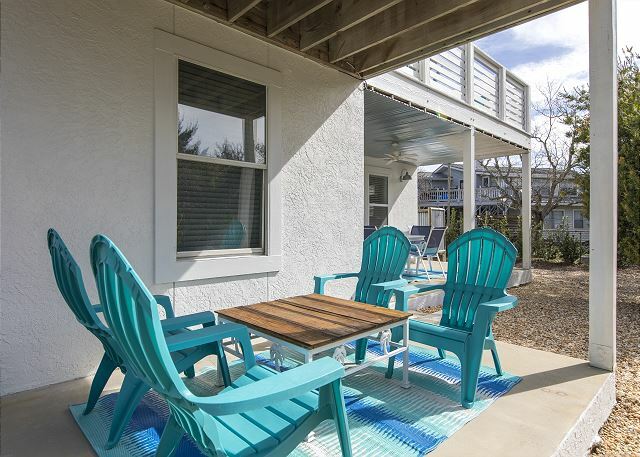 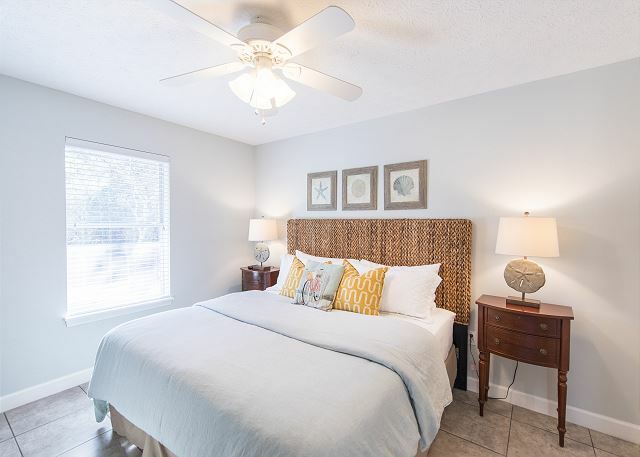 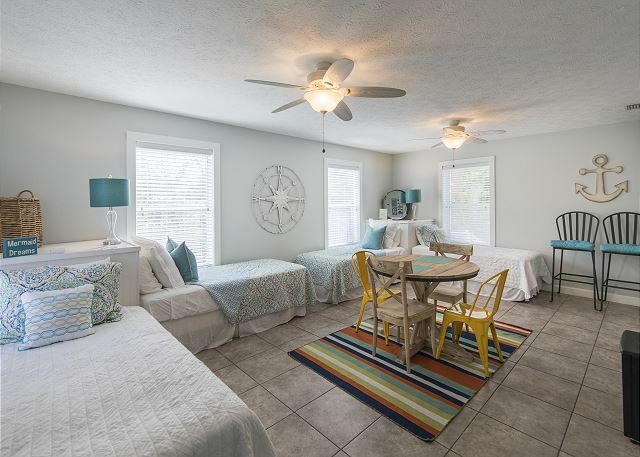 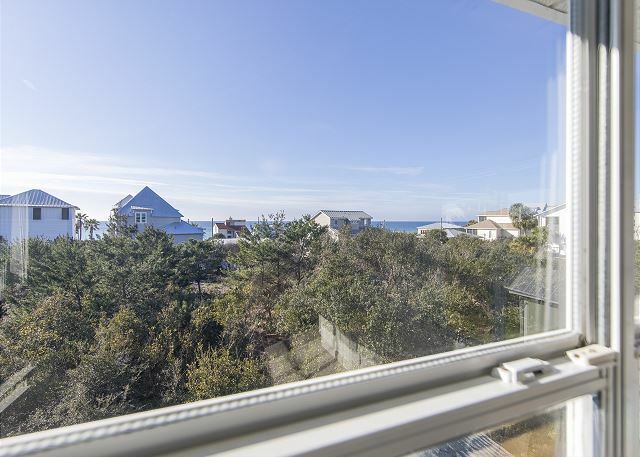 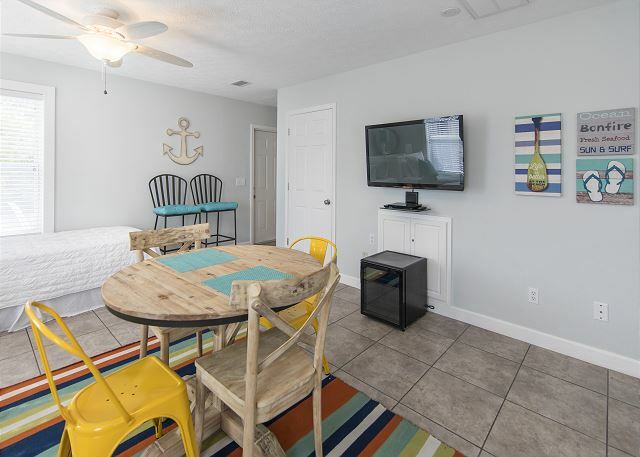 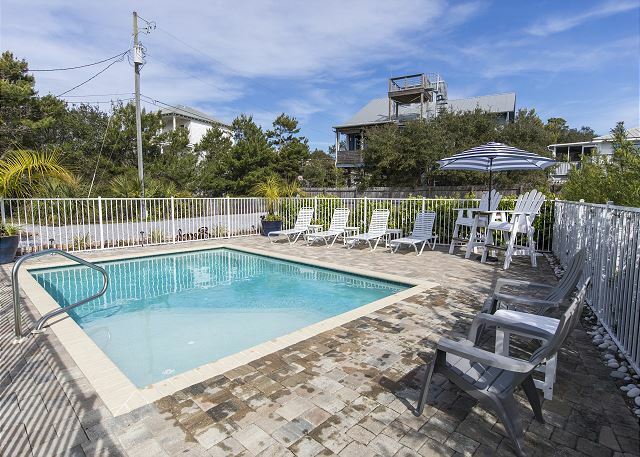 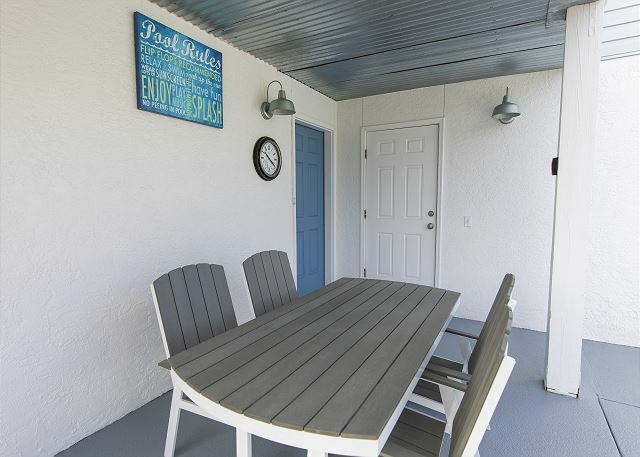 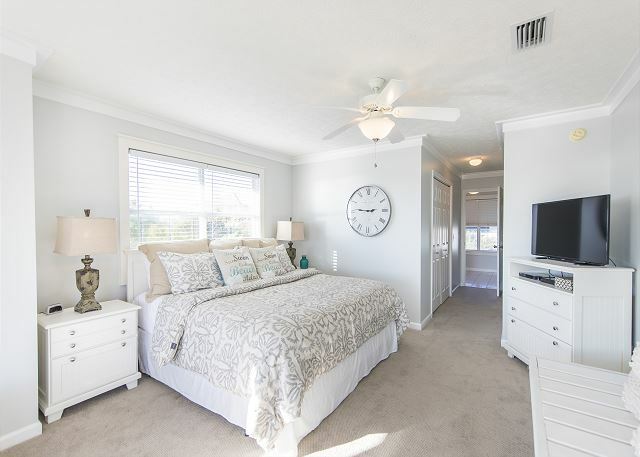 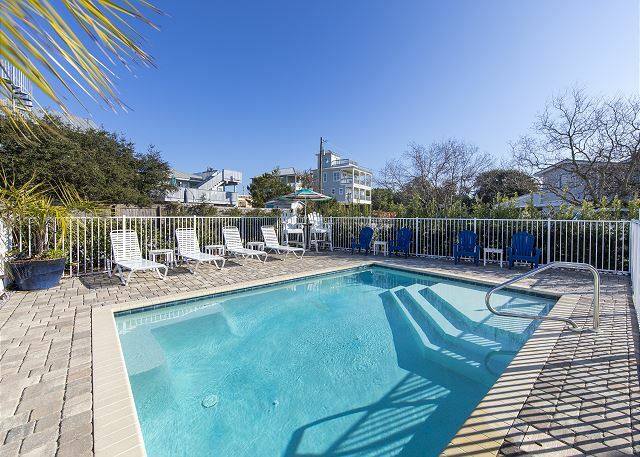 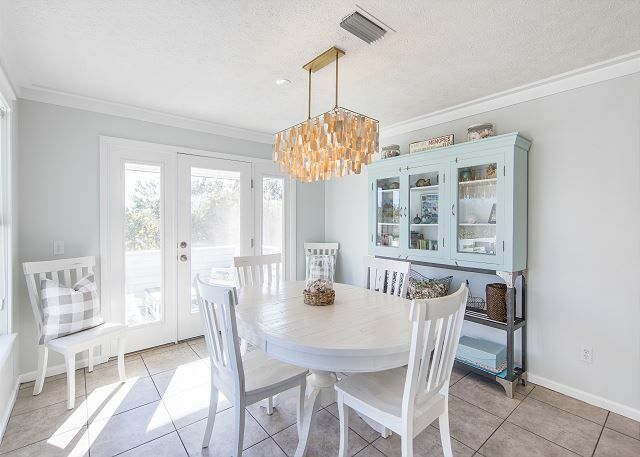 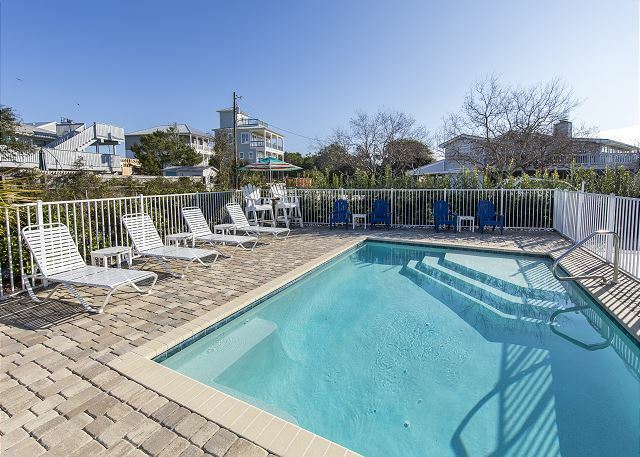 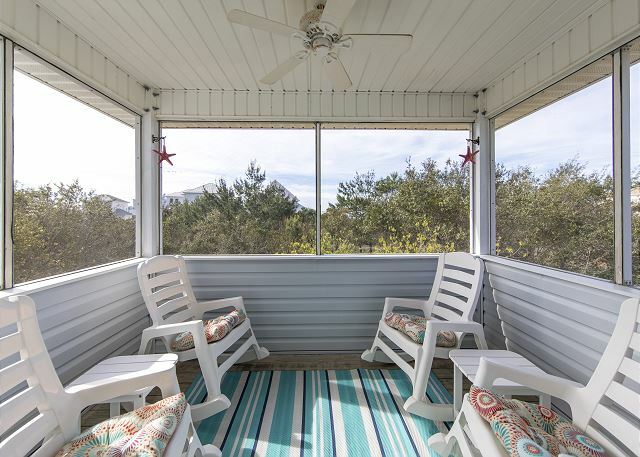 The Good Life is located in the quiet community of Inlet Beach and is within blocks to popular local dining like Donut Hole, Shades and The Cowgirl Kitchen. 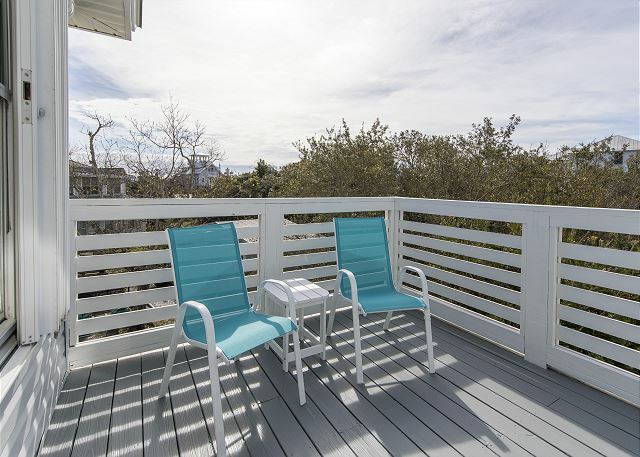 Take in an afternoon of shopping at Rosemary Beach which is less than 1 mile from the house. 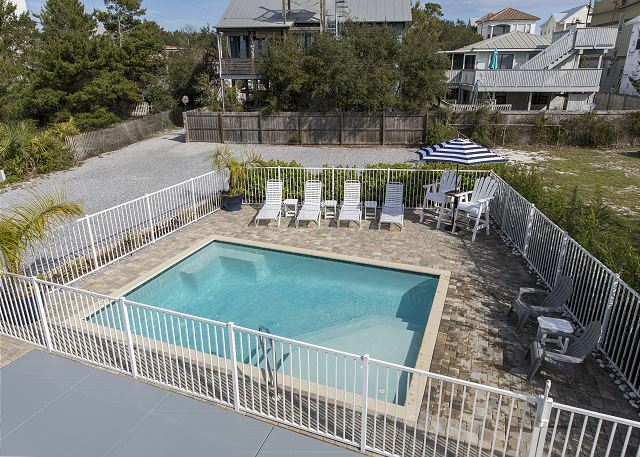 Call Benchmark today to secure the perfect family getaway!